Home 2018 motogp Movistar Yamaha MotoGP Valentino Rossi VR46 on rivals and a tenth title: "We can do more than 2017"
VR46 on rivals and a tenth title: "We can do more than 2017"
In a long interview with the Gazzetta dello Sport in his native Italy, nine-time World Champion Valentino Rossi (Movistar Yamaha MotoGP) talks track, life and passion as he goes beyond the normal questions posed and answers given. 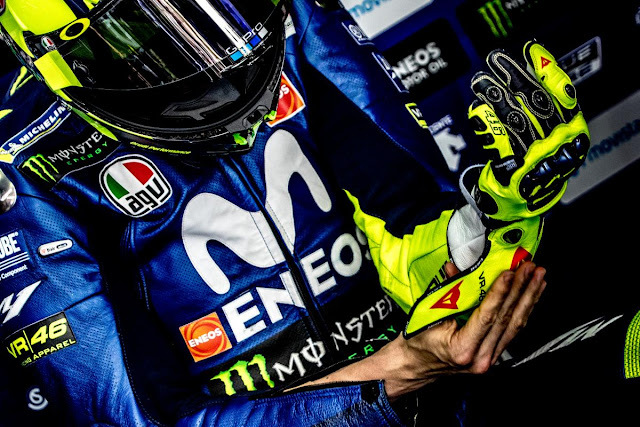 It begins, as it often now the case, with the customary incredulity in the face of Rossi’s longevity at the top of his game – comparing his career with another Italian sporting legend, Gigi Buffon, who is a year older than the Yamaha rider and captains both Juventus and the national Italian team. Another man in a similar league? Roger Federer, who, at 36, continues to win and rewrite records in tennis. With so much talk about the number 46 and his age after he recently signed another two-year deal to race, the words ring truer than a simple commentary on a compatriot. Point made, talk then turns back to the track and, specifically, fans – of which the ‘Doctor’ has many. Another key topic on the agenda is Andrea Dovizioso, Rossi’s countryman and someone to whom the number 46 isn’t close – but they have a lot of respect and a good relationship, the rider from Tavullia explains. Never giving up sounds familiar. So finally, it’s that age-old question – the other one that isn’t about his age: the possibility of a tenth title. Round 2 of 2018 will tell us more as MotoGP™ returns to the venue that saw Maverick Viñales take victory last season, ahead of Rossi in second. But the ‘Doctor’ has won there, too – so make sure to tune in on Sunday 8th April as we tango at Termas de Rio Hondo.